Walt Disney World: 45 Magical Years! Have آپ ever been in Walt Disney World? What did آپ like most in Epcot? How many times have آپ been to Walt Disney World? If آپ could go for one of these special events, which one would it be? Whats your Disney World dreams? Any tips یا advice for a first timer? I'm going here this October. If آپ could only ride ONE ride at Disney World on your vacation which would آپ choose? Hi guys, I managed to watch the final farewell of Dream Along with Mickey on Youtube and I have to say that the دکھائیں was magical and breathtaking that we're all going to miss this دکھائیں for sure! The story itself has a moral value in it, never give up on your dreams and remember to cherish it! We also get to see our favourite Disney characters come to live on stage, including the princesses who sang their respective trademark songs with their princes. Gran Fiesta Tour starring the Three Caballeros is the updated version of a water ride, El Rio Del Tiempo (The River of Time) situated in the Mexico pavilion since its opening. It is much the same ride (and I will take a look at that in مزید detail in another post) but with added colour of the Three Caballeros, Donald, Jose and Panchito. This guide begins with the version of the ride that I rode with my wife on our visit in 2007. The Three Caballeros is a film which, whilst obscure within the feature film canon, actually has a quite prominent presence at Epcot, to the extent that the film actually has a ride themed around it. Having شدہ تبصرہ on how odd it is that an enormously famous film such as Bambi has almost no presence in the parks, let alone a ride based on it, it seems just as odd that an obscure package film such as The Three Caballeros would do. The very first themed area of all Disney theme parks in Main سٹریٹ, گلی USA. At the سب, سب سے اوپر of Main سٹریٹ, گلی is the Town Square and I thought I'd focus on the attractions available in this area. The very first attraction is, of course, the Railroad which has a station looking over Town Square. Guests enter through underpasses running underneath the Railroad station into Town Square. This is the case in all the Disney theme parks except Disneyland Tokyo. I'll cover the Railroad in another post as it tours around the parks, passing through many different lands. One of the mainstays of the Disney theme parks are the 'shows'. At various times during the day, and at various locations, mini-musicals are presented for the guests. Disneyland Paris, for example, has a stage erected near to Sleeping Beauty's قلعہ where various themed shows are presented. As my thoughts are focussed, at the moment, on Main سٹریٹ, گلی USA, I thought I'd take a look at Main Street's very own mini-musical - the Trolley Show. Following on from my post about Snow White's Scary Adventures (which is still over in the Imagineer section - sorry - feel free to go and hunt it out in case the mods don't اقدام it over here as other posters advised me). Also that post gives a bit مزید background on why I've started posting this odd little ramblings. With this classic dark ride, I've titled it with the French name as this is the version I have most recently ridden. Dumbo, the film, has دیا birth to possibly the most famous Disney theme park ride of them all - Dumbo, the Flying Elephant. It is a ride which is seen at all the Disney parks (and in many other theme parks, just without the 'Dumbo' theming - but often still with flying elephants). Walt Disney World has recently گیا کیا پوسٹ a video explaining the new interactive queue for Magic Kingdom's Big Thunder Mountain. The entertainment in the cue will involve excitement from the first moment آپ step in; the first thing disney guests will experience is the 'mining office'. The mining office is about how آپ would start آپ دن mining, and it might even gives some clues to if it's some kind of mystery! There will also be an explosive magazine room-which will have dynamo sticks-, lenses which let آپ see the shaft, and much more! a comment was made to the poll: If آپ could go for one of these special events, which one would it be? a comment was made to the poll: Ever been to Disneyland? a comment was made to the poll: How many times have آپ been to Walt Disney World? a comment was made to the poll: Have آپ ever been in Walt Disney World? a comment was made to the poll: پسندیدہ ride? 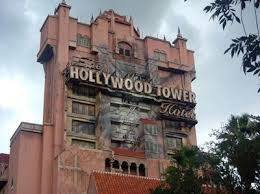 What سال was the Hollywood Tower Hotel struck سے طرف کی lightning? Bring Back Journey Into Imagination (1983-1999)!